Love Michelin star chefs and celebrity chefs? Taste of London returns from 14-18 June 2017 this year in Regent’s Park. You might ask what is Taste of London well it is a showcase of the capitals best restaurants, top chefs and leading food and drink brands. The London’s latest, greatest and most exciting restaurants will serve taster size signature dishes cooked by world-class chefs. There will also be cooking demonstrations by leading chefs and many opportunities to get hands-on with interactive masterclasses, and over 200 stalls to sample and buy food and drink from. So if you love food, restaurants, drink and chefs then this is the festival to go to. There are two sessions each day during 14-18 June. An afternoon session and a evening session with each lasting between 4-5 hours (depending on the day) giving you much time to enjoy your pick of restaurant dishes, browse the artisan stalls and enjoy some of the many attractions that Taste has to offer. Tickets are sold for each session and are only valid for the time and date indicated on your ticket. To find out when their next upcoming Taste event is click here. Thanks to Taste of London who let some members of the community of Love Pop Ups London come down to experience a very gastronomic event. Read all blogs/reviews from the comments section from below. 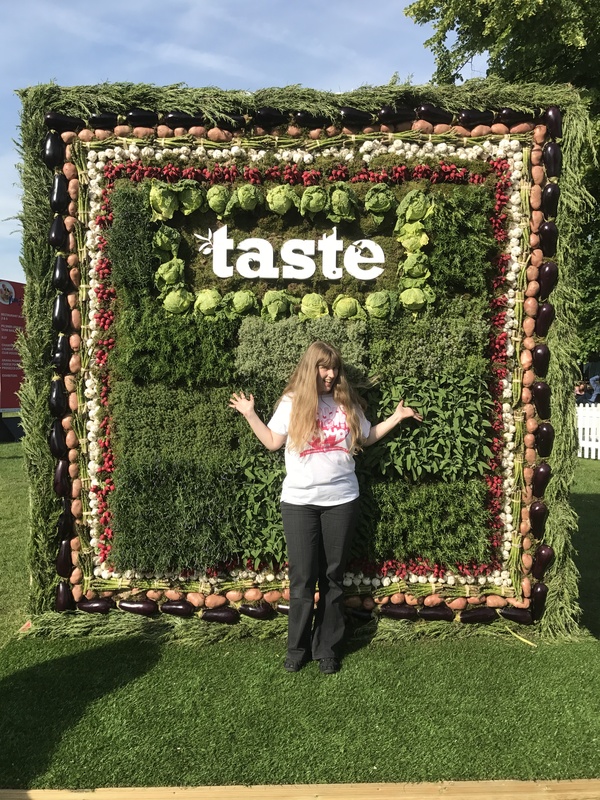 Taste of London 2017 could not have fallen on a better weekend – the weather has been perfect! And with that comes a great atmosphere with friendly vendors – even friendly people queueing! Saying that the queues to get some grub from some of London’s best food spots were pretty ridiculous! And at least £5 a pop on top of £20 entrance tickets it all seemed a bit much to me! We only tried 2 things – Iberica & Waffles from Ametsa, which was beautiful to look at but lacked flavour, and then the fish taco from Bala Baya which was the polar opposite; packed full of fantastic flavours and textures. I haven’t been to either of these restaurants before so it was brilliant to try. We visited on the Thursday evening so by the time we had wandered round each stall picking up the freebies (crisps, cake, cheese etc – amazing cake place and amazing ice cream place) and sussing the place out I was too full and too tired to queue for any more! I really wanted to try both desserts from Balls & Complany and Duck & Waffle as I have seen and heard good things so if you are visiting this weekend make sure you save room! All in all I think ToL is a nice concept but waaaay too over priced – I would prefer to spend the time/money visiting a few of the restaurants. Amazing weather in Regent’s Park, tasty food, friendly vendors and a nice vibe made my first ever visit to Taste of London a blast! Also had some great company as I was invited by LovePopUpsLondon.com! I had so much fun leaving the map behind and just exploring everything to be seen and tasted. We had everything from an authentic Turkish street ice cream vendor experience all the way to one of the nicest gins I’ve had from the Spain booth. Along the way we tried the freshest mozzarella cheese, some marshmallow delights from Happy Mallows, refreshing apple fizzies from Newton’s and my favourite, tubs of cookie dough from The Cookie Dough Co.